You’re in a cold climate and considering a DIY metal building that’ll feature a flat roof. What do you need to know about snow loads? According to the National Climatic Data Center, New York is the state that gets the highest average snowfall each year, ranging at over 100 inches. You’re probably thinking this doesn’t sound right. And you would be…well, right. 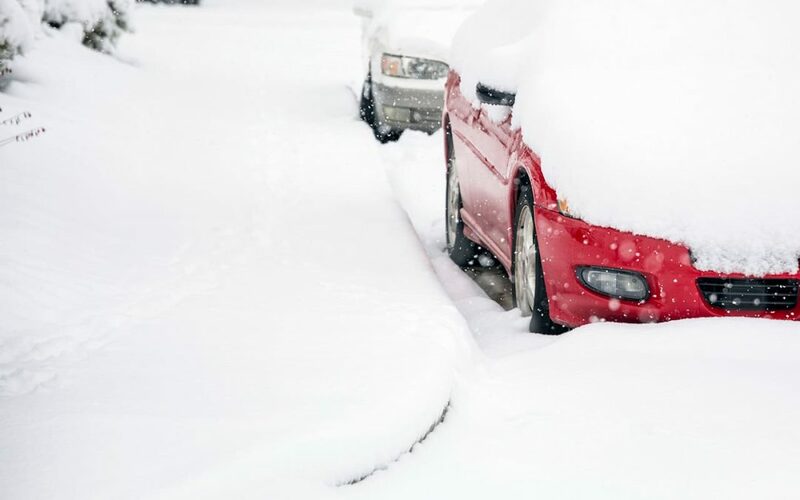 Most areas of the state average between 22.7 to 37.9 inches of snow – but when you add the Syracuse area to the mix – which receives an average of 123.8 inches of snow annually, the state of New York jumps into first place. It’s for this reason that it’s important to know the impact that snow load can have on a roof in your area. You might not think that the weight of snow matter much. They float down from the sky. It’s a different story when they mass together on your roof – especially a flat one. If you have a flat roof with a visible accumulation of snow on it, you need to know how much load it’s creating. The easiest way is to push a yardstick into the snow standing on an area of the roof that represents the overall amount of snow up there. In other words, don’t stick it into a drift. Jot down that number. You’ll want a figure that’s expressed in feet. For example, if there’s 18 inches of snow on your roof, you’ll want to record the number as 1.5 feet. A cubic foot of dry snow weighs an average of 6 to 8 pounds. A cubic foot of packed snow weighs about 20 pounds. To figure out the load on your roof, multiply the depth of snow in feet on your roof by the weight of a cubic foot of snow. Let’s say you’ve got 1.5 feet of snow that’s somewhere between packed and dry – so the snow weighs around 10 pounds per cubic foot. You have a flat roof with an area of 1,000 square feet. It puts the total snow load on your roof about around 15,000 pounds. Yes, those little snowflakes do add up. Miracle Truss® uses what’s known as clear-span steel web trusses in our buildings. The steel trusses come in four easy-to-bolt-together sections. That makes it easy for DIY construction, but the trusses themselves enable space all the way to the peak, without sacrificing any strength. When you request free Miracle Truss® building information from us, we ask for specific site location and building use. One of the main reasons for this is that our plans are engineered for your area. We take into consideration things like historical snowfall data to make sure the information you’ll take to receive a building permit shows that your new Miracle Truss® building is capable of handling the snow load in your area. It’s important for you to know the snow load on your building. We’ll make sure the Miracle Truss® building you put up can handle it.